VIP Coasteering! The ultimate add on for your coasteer. The business class of coasteering, our Gold Select coasteer enables you to extend any one of our award-winning coasteers for just an additional £14, and take home a set of coasteering photos shot by your coasteer guide of the day’s action. What is Gold Select Coasteering? In three adrenaline-fuelled hours you’ll execute more jumps, explore more caves, negotiate more traverses and rapids and ultimately have more fun! Upgrade your coasteer experience and score awesome images of YOU in action! On arrival, you’ll be kitted out in a top of the range wetsuit, buoyancy aid and helmet at our brand new centre on Towan Beach. After a safety brief we’ll then make the short walk to the beautiful Gazzle peninsula, a natural aqua playground and home to all of our epic coasteer routes. Its close proximity means you can take full advantage of our heated changing rooms, hot shower and lockers for your belongings. We’ve a huge range of awesome coasteering options to choose from, based on their intensity and profile. The North Coast Challenge, Advanced and Super SUP Coasteers are for the hard-core adrenaline junkies out there, whilst our Eco and Heritage Coasteers would suit those looking to combine a little learning with their extreme sports. The Low tide and Adventure Gulley coasteers are perfect for chilled out adventurers wanting a more mellow experience. You can extend any of our coasteer adventures by one hour with this upgrade. 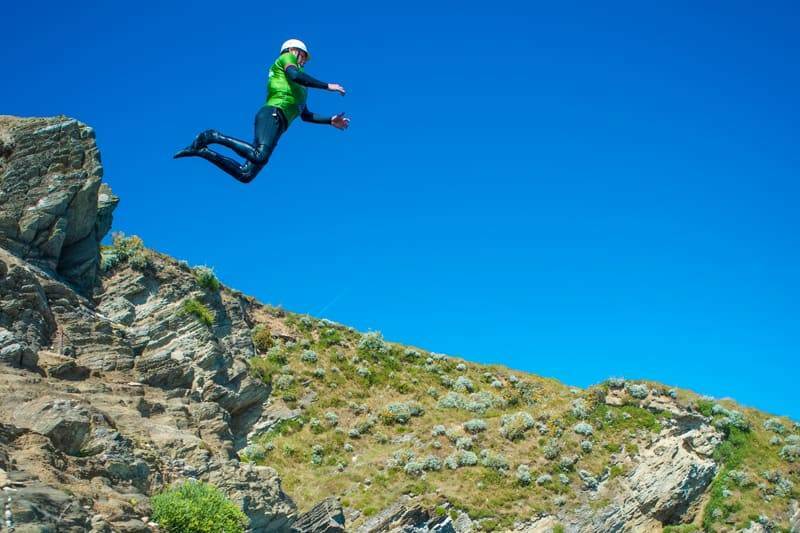 Our testimonials on Tripadvisor for Coasteering at Newquay Activity Centre rank us as number one for Cornwall activities and we’re proud golden winners of the Cornish Tourism awards. Our Gold Select Coasteer options are will make any adventure a royal day out.